Street food is hardly a new concept for Indians. Polishing plates of pav bhaji and waiting at a stall, watching cheese melt on your Mysore masala dosa is something almost everyone has done, if not exactly this then other variations of it. Although, with the endless barrage of fast food outlets and new restaurants cropping up at the speed of light, our good old street food industry has taken quite a hit. Leaving them with no choice but to try and stand out by reinventing food in ways that, at one point, may have seemed pretty ridiculous. Culinary experiments like chocolate syrup being poured into crispy pani puri skins or noodles replacing the traditional dosa filling are some successful examples. However, for some simply getting creative with food isn’t enough. Instead, they have decided to take another route and bring to the streets of India a trend that has taken the food industry by storm — food trucks. These meals on wheels may seem to be a concept strongly associated with the West, but with everyone constantly on their feet, the need for mobility in this day and age makes food trucks a great candidate for just about any bustling city in the world. This is probably why in a span of just a few years, the food truck culture in India has grown manifold. Keeping in mind how too many options often spoil some for choice and leave many others overwhelmed, we at Homegrown have compiled a list of food trucks around the country, where to find them, complete with food recommendations and the estimated toll it is going to take on your pocket. We split it up city-wise, so take down the details of one close to you, and chase those vehicles down! Brainchild of four friends, Sudarshan M.S., Francis Xavier, Shakeel Ahmed and Chandra Mohan, De3 is actually a prototype for the restaurant they hope to open in the city. Through this venture, they hope to change people’s mindset about street food, especially in terms of hygiene. With a wide selection of close to sixty dishes on the menu, they like to keep things interesting by constantly evolving their offerings, and regularly introducing ten new items. HG recommends: Their chicken burger, which has two slices of Mexican chicken salami placed on a juicy chicken patty with mustard, mayo and coleslaw sandwiched between two slices of freshly baked bun. A haven for BBQ lovers. 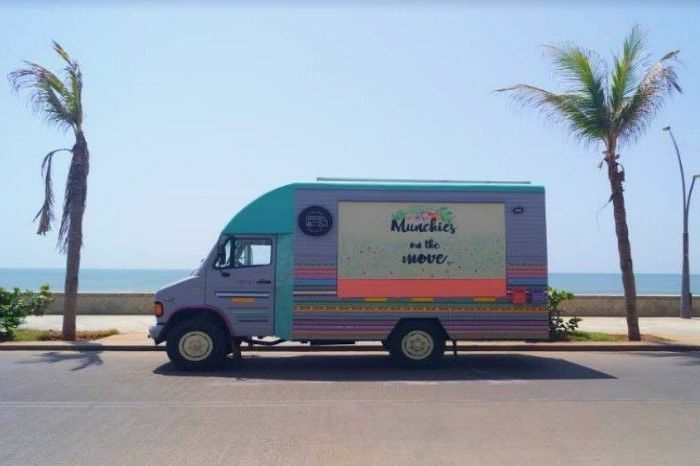 Run by Siddhanth Sawkar and Gauthami Shankar, this food truck was kickstarted by Sawkar over two years ago, after a culinary course he pursued in Italy. It was his teacher, Chef John Nocita, who owned a food truck that inspired him to do something similar. He returned to India and started Spitfire BBQ as an experiment to find out how receptive people would be towards what he had to serve. Now, not only are they doing great, with a steady flow of new and regular customers, but they are also considering expanding to other cities. With a constantly evolving menu, Spitfire BBQ tries to meet every possible need of its customers by baking their own (unbelievably soft and fluffy) breads, sourcing fresh produce from local markets and farms, and even using halal meat and pre-cooking their bacon at home. The truck can usually be found around Kammanahalli, Bangalore. HG recommends: We swear by their Double Bacon Double Chicken Steak Burger and New York Hot Dog. Rich American gourmet flavours on a curbside. The inception of this particular eatery was the result of a session of venting between two hotel management graduates, Lioma D’souza and Jimson Johns. After roping Vivek Cornelio, the SWAT (Serving with a Twist) Truck was born. It took them about six months of working and reworking the plan in a garage before they got the truck/kitchen moulded to their needs. Even though Domlur is their base, you will often find their vehicle around Indiranagar, HSR and even Koramangala. The S.W.A.T. 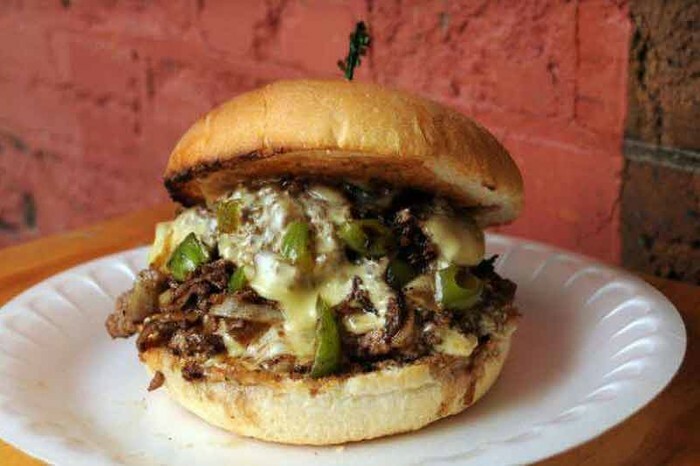 Truck's Sloppy Joe burger. 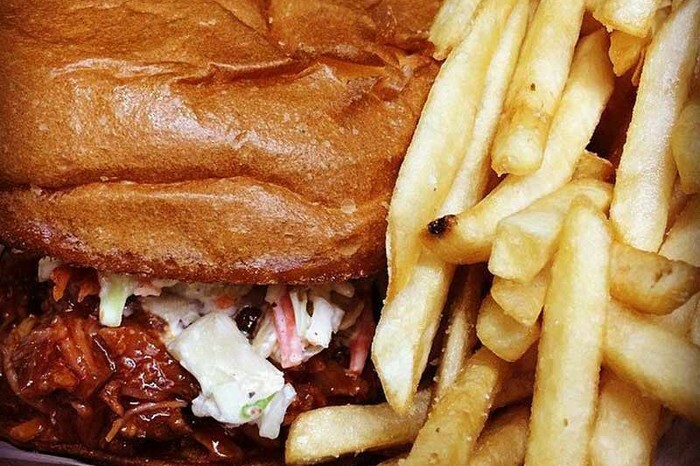 HG recommends: We recommend their meaty, cheesy and messy Sloppy Joe burger. If you are feeling a little experimental, you should definitely try their Mac ‘n’ Cheese burger, and then reward yourself with their innovative Oreo-inspired dessert. Bangalore’s Indian Chinese fix on wheels. Started by a biotechnologist who decided to follow his food dream, Great Indian Bhukkad is right out of a vegetarian’s dream. Serving North Indian and Indian Chinese, the food truck also caters events and has tie ups with organisations such as Infosys, Google, General Motors and The Art of Living Foundation. Great Indian Bhukkad champions environmental conservation and uses biodegradable cups and plates to serve their food. The truck can usually be spotted around Banashkari and Bannerghatta Road. HG recommends: Their whole wheat wraps are what you should get if you’re on the lookout for some yummy healthy goodness. Former investment banker Rithika Kapoor started Foodipa with the aim of serving street food right where it should be served — on the streets. Foodipa’s menu is a combination of all things desi, ranging from chaat to parathas to delicious Sindhi and Punjabi dishes. This “100% Swadeshi food truck” is for all those looking for hygienic alternatives of their favourite chaat in Bangalore. Find them cruising around Basavanagar, Indiranagar and Whitefield. HG recommends: We recommend the quintessential North Indian staple rajma chawal. French street food in Bangalore’s parking lots. This food truck found in Thippasandra, Bangalore, is a Bangaloreans gateway into the exciting world of french cuisine. This food truck only uses local produce to bring to your table (in this case, your car?) street food all the way from France. The dishes on the menu though difficult to pronounce, is probably the most pocket friendly way to get a sneak peek into France’s celebrated culinary world. “At our truck, we’re focusing on homemade simple French food, snacks like our mothers were cooking at home when they wanted to give us a quick but tasty lunch,” reads the food truck’s website. Track them on their website to get your hands on this food truck’s beautiful creations. Le Casse Croute's chefs at work. HG recommends: Be sure to dig your teeth into their Monsieur Martin, which is a heavenly amalgamation of greasy bacon and rich bechamel. Stop by for some sugar dusted golden brown goodness. Toying with classic flavour combinations like maple syrup with butter and banana with peanut butter, Go Waffles is a raging success in Bangalore. Their crispy waffles with the right amount of bite are sure to satisfy your sweet cravings. Always on the go, you can call them on +91-90358 50392 to track their location. HG recommends: Their Caramel Crunch is a classic we’d recommend. Line up for some authentic Mexican grub. 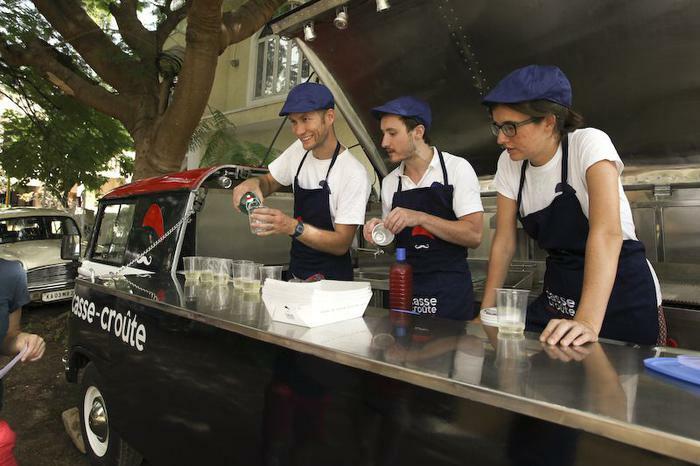 Launched by the Lalit Suri Hospitality group, this mobile restaurant is the first step they have taken as part of the chain’s foray into outdoor catering service. As Delhi’s first Mexican cuisine-inspired food truck, you will be spoiled for choice with crispy tacos, quesadillas, churros, tortilla wraps and more. Further still, if your taste buds tingle for something other than Latin American flavours, don’t fret. They serve some great burgers, hand cut fries and falafels too. The food truck is now open in Mumbai too. You can visit their Facebook page to stay updated. The vibrant food truck serving some mouth-watering Mexican and Latin American dishes. HG recommends Their vegetarian quesadillas will blow you away. Dude-food and healthy juices on wheels. You can find Karan Malik’s SuperSucker serving Mexican and American food at Sarita Vihar on weekdays and DLF Place, Saket, on the weekends. Luring the crowd at various music fests including NH7 Weekender and VH1 Supersonic Goa, with the irresistible aromas of wraps, burritos, burgers and sandwiches, Supersucker is the ultimate food truck experience. And, if their delicious American flavours aren’t convincing enough, they plan on expanding their menu to include keema delicacies in the form of pao, kulchas, paranthas and even hot and fresh fries! HG recommends: Their chicken minced desi burrito for the great flavours, washed down with one of their fresh juices (we are partial towards the Blueberry Mango Smoothie). Whose hot, wholesome breakfasts remind you of home. EggJactly is the brainchild of Vikrant Misra, who worked in the retail industry until the grind of his day job tired him out. Initially, his plan was to open a cafe in Gurgaon, and when he realized that the real estate prices were so steep, he decided to start a food truck instead. Perfect for all egg lovers, their menu offers up to 60 types of egg dishes among including waffles, crepes, pancakes, sausage dishes and the list goes on. HG recommends: Their Big Chick Burger made with a grilled chicken patty, molten cheese and topped with a fried egg, and some grilled mushrooms and caramelized onions to go with it. If you still have space for more, try their Belgian Waffles with bananas and dark chocolate ganache. A dessert-craving fitness freak’s delight. 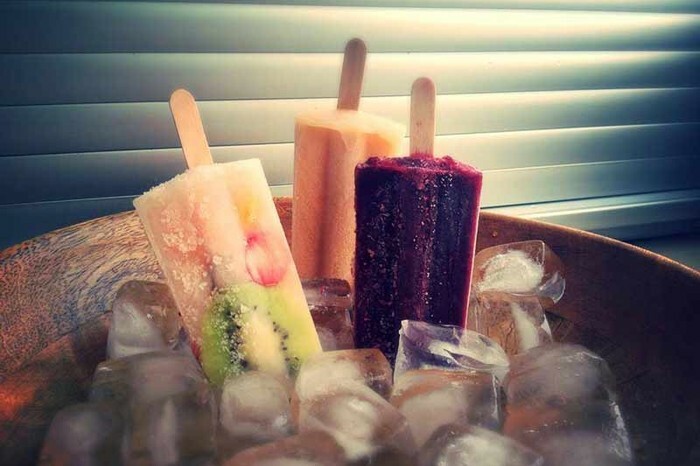 This unique food truck based out of Gurgaon and Mumbai is India’s first dining venture to serve Latin American Paletas, which in simple terms means ice-pops made from fresh fruits. Perfect for those watching their weight and craving desserts, their organic fresh ingredients and lack of preservatives will help you satisfy your sweet-tooth minus the guilt that usually comes with indulging in a dessert. Revisit your childhood as you treat yourself to some healthy treats from their bright pink ice-cream truck. HG recommends: Their Fruitilicious special made from kiwis, strawberries, peach and blueberries. For thick, juicy meat and divinely creamy drinks. What do you get when you put an engineer and two passionate cooks together in a truck? You get Oh Buoy, a mobile restaurant that serves Mexican, Lebanese and Continental food that will make you want to pack your bags and move to Noida. And, if you happen to stop by their truck in the morning, devour their delectable breakfast choices, and chase it with a thick, creamy milkshakes rich with flavour. It’s a food truck, but is it? Literally a hole in the wall, this eatery with a food truck facade is an interesting take on how most food trucks can’t actually move around the city thanks to trouble acquiring licenses and permits. An all day Indian breakfast joint, Nashta Paani offers everything from poha and upma to sandwiches and quesadillas. This food truck is ideal for all those in Sultanpur who are looking to eat comforting and wholesome breakfasts all day everyday. HG recommends: A section on their menu is titled “cheesy indulgences” and is perfect for all those who believe that there is no such thing as enough cheese. 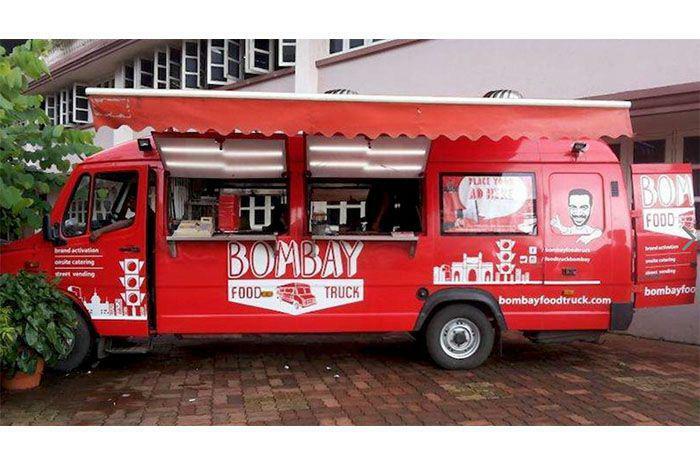 Bombay Food Truck’s (BFT) menu caters to everyone — those bored of routine desi food and those craving ghar ka khana. “Gourmet street food with a twist” is how BFT describes their approach to Indian fusion cuisine. BFT’s unique flavour combinations are refreshing and pleasantly surprising, and are ideal for the foodie looking to break away from the monotony. 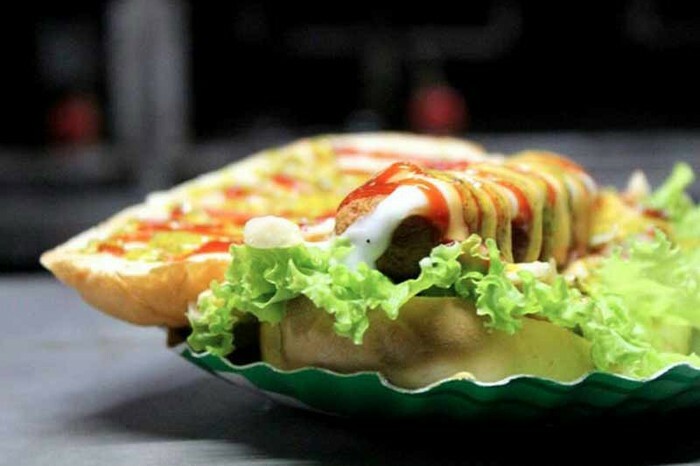 HG recommends: Try BFT’s desi take on a hot dog and pair that with their signature dish — the Broken Vada Pav. 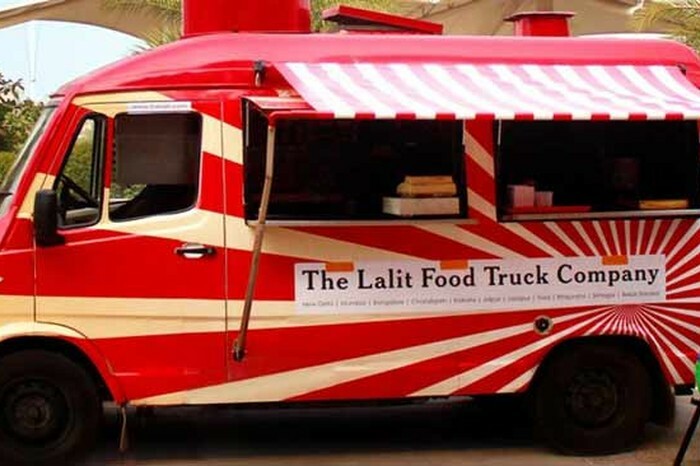 Run by entrepreneur Purav Doshi, this foodtruck is a must visit when in Breach Candy. Stationed outside Amarsons Park, this restaurant on wheels offers a range of waffles from a modest classic waffle to the very extravagant red velvet waffle. The choice of toppings could be a tad bit overwhelming for the fickle minded. So, be ready to be spoilt for choices while constructing your dream waffle. HG recommends: We recommend the Brownie Waffle, which is as divine as it is self-explanatory. RockSalt is here to change everyone’s perception of Thane. Everyone who thinks Thane is too far to be fun has not visited this food truck. With a plethora of sweet and savoury options, RockSalt’s unusual take on regular fast food options comes as a much-needed pleasant surprise. HG recommends: We recommend you to experiment with their unique take on french fries and a side of Twisted corn to go with it. Rachna Rao and Justine DePenning are the minds behind the conception of this candy-hued food truck. Both Rao and DePenning have been actively involved in every step of the way and have carefully curated the menu al;omng with V. Karthik, the food truck’s head chef. Bira-battered fish and rajma cheddar tacos and Korean BBQ beef and smoked eggplant sliders are some of the unusual yet moith-watering options the menu has to offer. Pondicherry’s first food truck should definitely feature in your itinerary when travelling to the city. HG recommends: We recommend the adventurous risk taker in you and order whatever seems to be the wackiest dish on the menu. A family affair, this food truck is run by three brothers. Authentic Goan food between slices of bread is the best way to describe this food truck’s approach to food. Noronha’s corner stays true to Goan flavours while creatively tailoring food to suit the younger generations’ palette. Noronha’s Corner can usually be found parked near Anjuna Circle. HG recommends: We recommend the Spicy Chorizo Burger, which is their rendition of the Goan classic — choriz pao.